After breakfast on the eight day of our expedition, I spend most of the day looking trough pictures from the previous two nights. 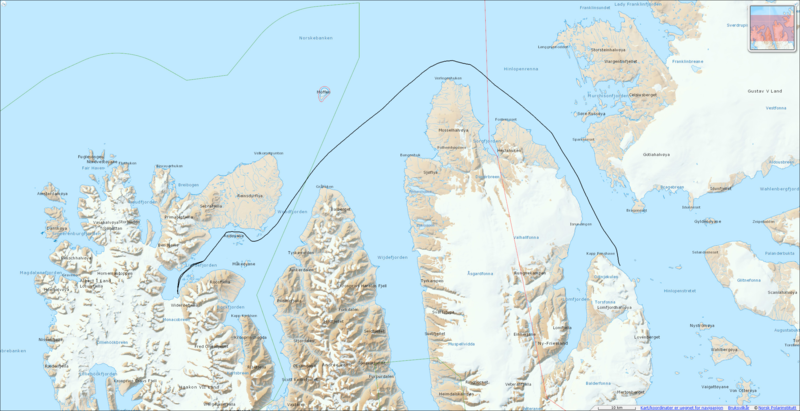 While I do some digital housekeeping the Origo makes its way north along Hinlopen, around Gråhuken and through Woodfjorden into Liefdefjorden and the Monaco glacier. As we sail into the inner end of the fjord, we see the French cruise ship La Boreal against the Seliger glacier. 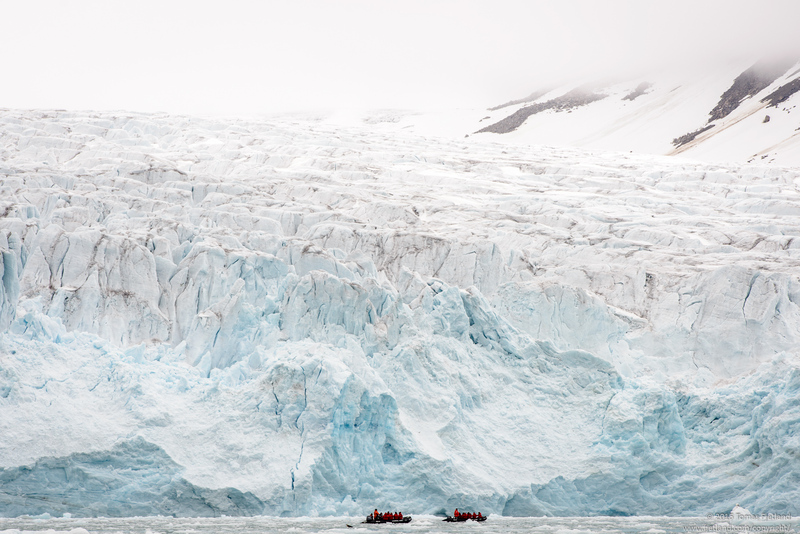 Normally, huge cruise ships is not what you want to see when taking in grand nature experiences, but in this case the 18 meter tall and 142 meter long luxury cruise ship served as a great measure for the huge scale of the glaciers edge and features. Unfortunately the weather is rather dreary with low clouds hanging a mere 150 or so meters overhead. As we enter the zodiacs we see the ones from La Boreal returning to the ship. 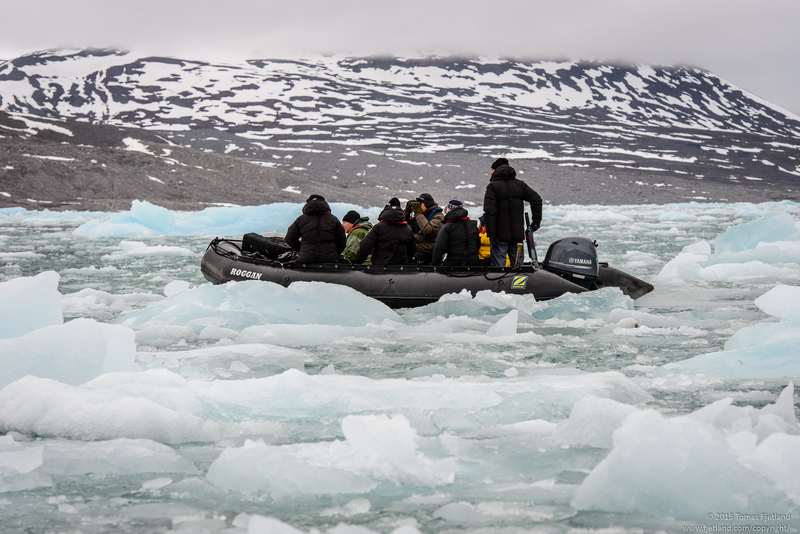 We have to move carefully, as both glaciers around us are calving regularly, and the inner end of the fjord is filled with ice from this, making movement with small plastic dinghies both slow and somewhat risky. Thankfully a while after we get in the zodiacs, the cloud cover starts to break up a little, but conditions change rapidly from nearly clear to dense clouds. 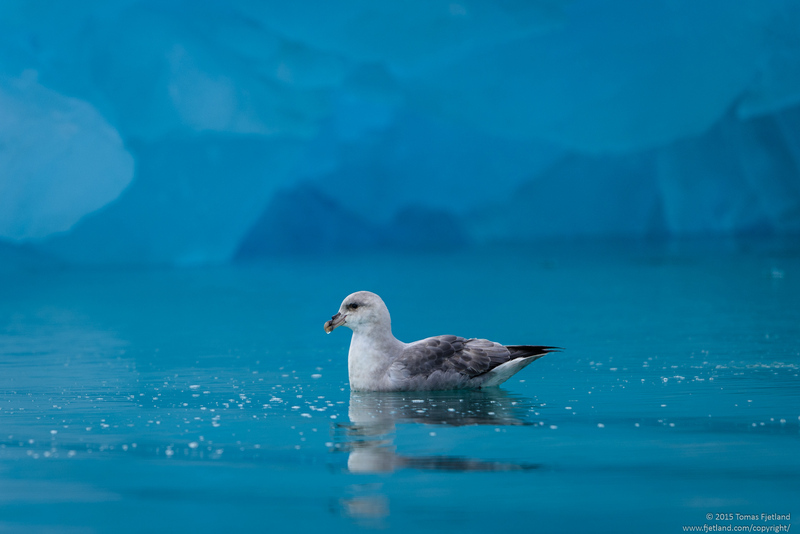 The main wildlife we see in the area are large flocks of Kitiwakes, some Glauceous gulls, and a number of Arctic Skua or Parasitic Jaegers. Fairly soon we get to see two of the latter showing why they earned the name Parasitic Jaegers. 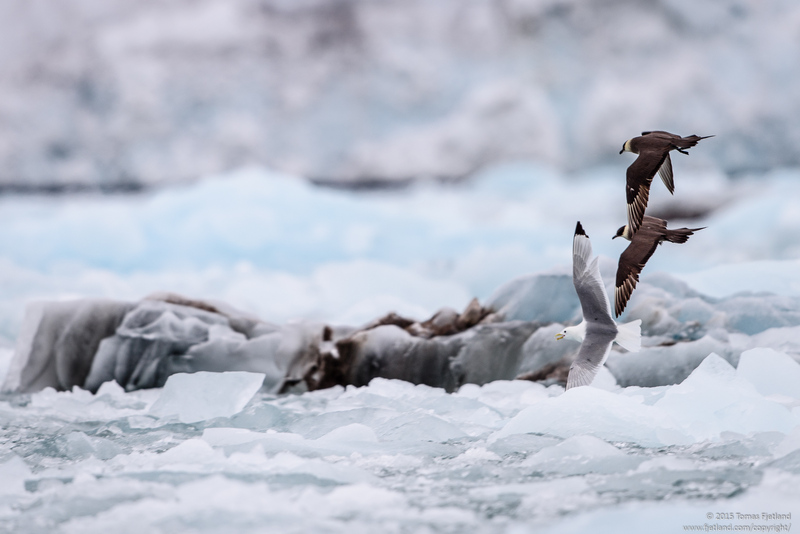 They relentlessly chase a Kittiwake until it gulps up its catch, allowing it to get away as the skuas dive for their prize. Parasitic Jaegers chasing a Kittiwake, trying to force it to give up its catch. 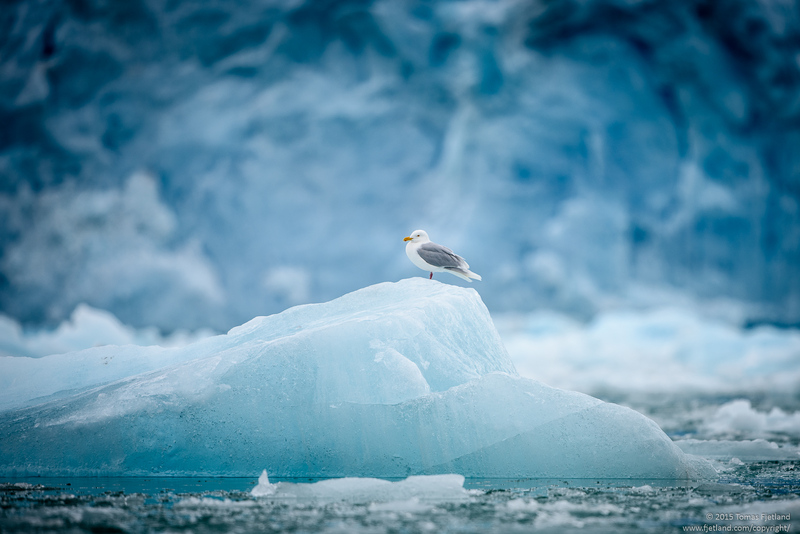 As we get closer to the glaciers, the blue ice and the clearer skies give us an amazing backdrop for some of the birds posing on ice. 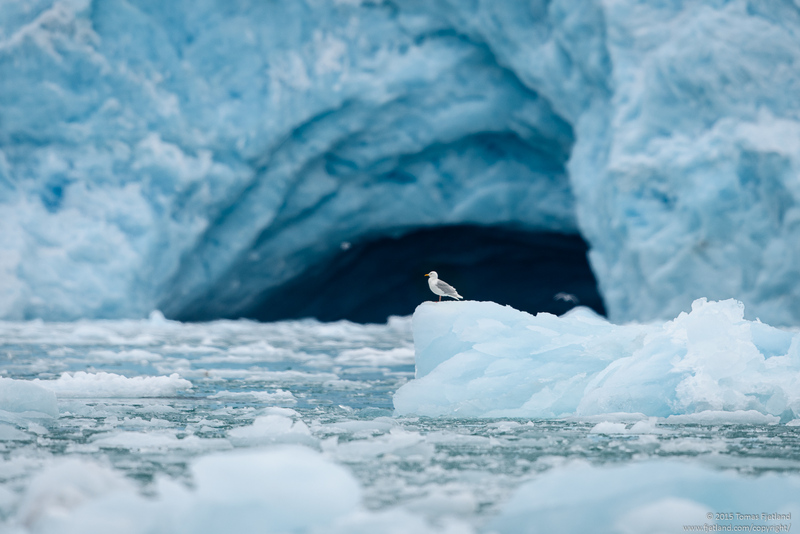 Regularly we would see the glaciers calving, unfortunately the stills I took don’t really do the spectacle justice. I tried putting some of the handheld shots together as a video and while it’s far from perfect, it gives some idea on what’s going on. 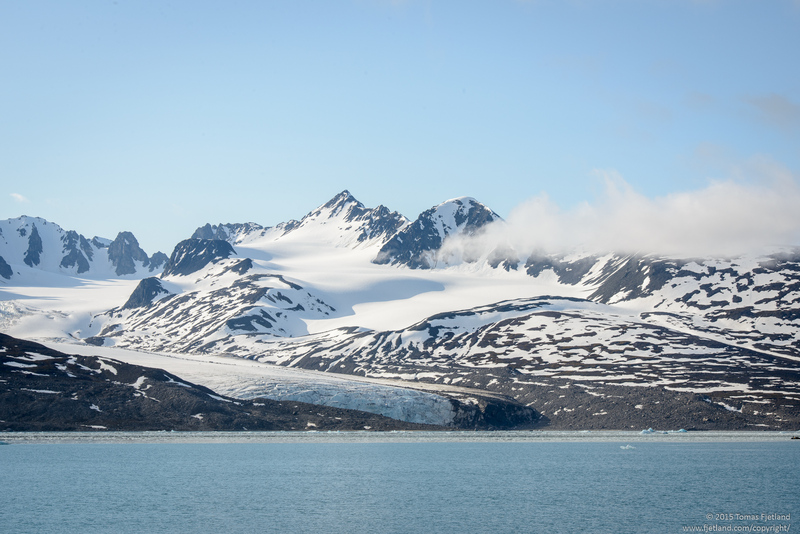 I also tried to make a few stitched panorama to show the length of these glaciers. They don’t really do them justice. 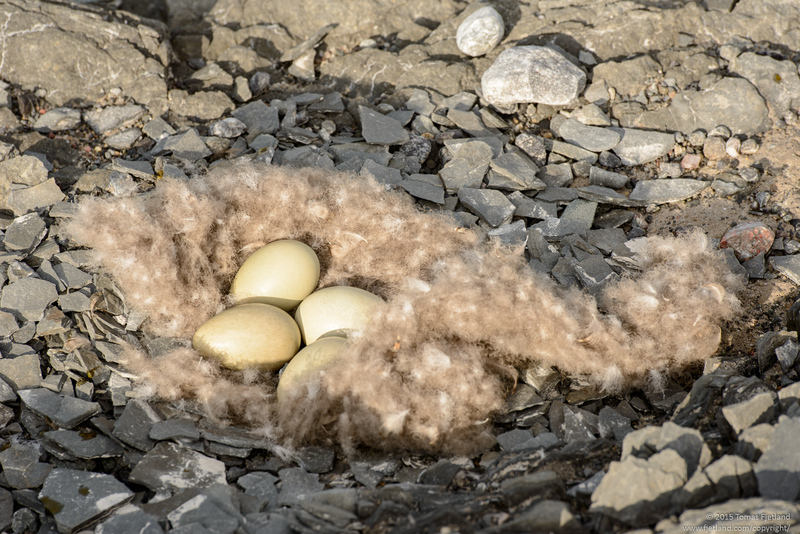 While we were ashore on Nyholmen to take some landscape shots with tripods and solid ground underfoot, we inadvertently startled a Common Eider that was on a nest there. 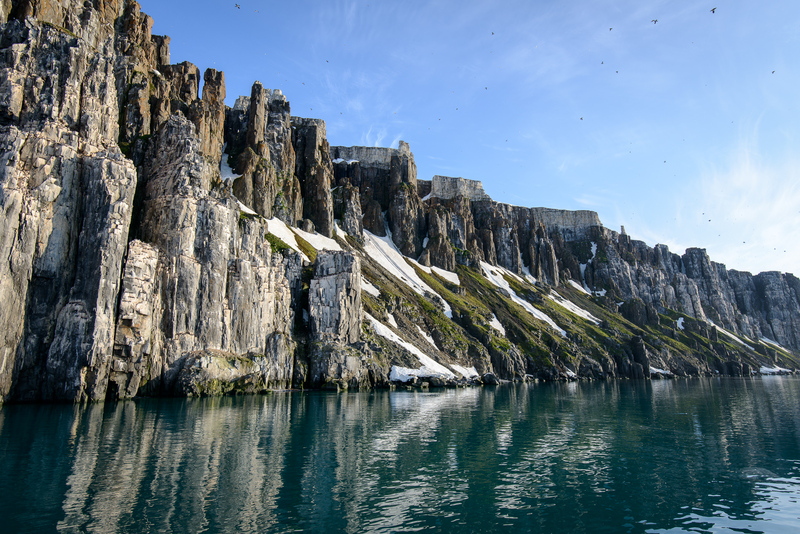 To allow her to quickly return to the nest before the eggs got cold, we had to scramble to leave the islet. 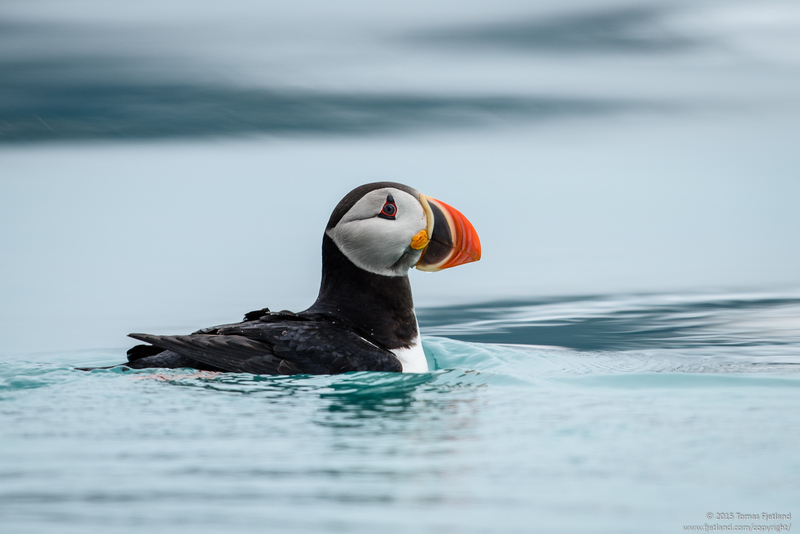 Thankfully she was back on the nest nearly before we were back in the zodiac. As we leave, the clouds roll in again. After getting back on board we’re served dinner, and afterwards I try to get some sleep.